On September 10, 2017, at approximately 3:20 am, officers from the Swan River RCMP received a report of a motor vehicle pedestrian collision on Highway 10, one kilometre south of Mafeking, Manitoba. 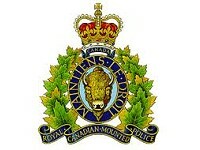 Investigators believe a pickup truck with two occupants, being driven by a 46-year-old male from Birch River and carrying a 35-year-old female passenger from the Shoal River First Nation, were southbound on Highway 10 when the female passenger exited the moving vehicle. The female passenger was subsequently struck by the trailer being towed by the pickup truck and pronounced deceased at the scene. Alcohol is a factor in the collision. The 46-year-old has been arrested and is currently in police custody. He will be facing charges of Impaired Driving Causing Death and Impaired Over 80 Causing Death.